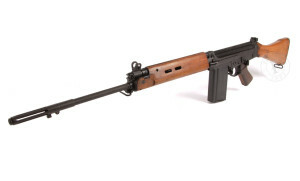 RIFLE 7.62MM. L.I.A.I. COMMONLY KNOWN AS THE S.L.R. (SELF LOADING RIFLE). Since the end of the Second World War, many countries around the world had adopted some form of self-loading rifle for general service. This means that once an initial round of ammunition had been fed into the chamber of the barrel, firing that round produced pressure, some of which could he used to extract, eject, feed and chamber another round without any help from the user. Germany in particular, had developed many outstanding “assault rifles” during the war while the Americans were almost totally equipped with the 8 shot Garand. We still used the No.4, Lee-Enfield.303” bolt action rifle. 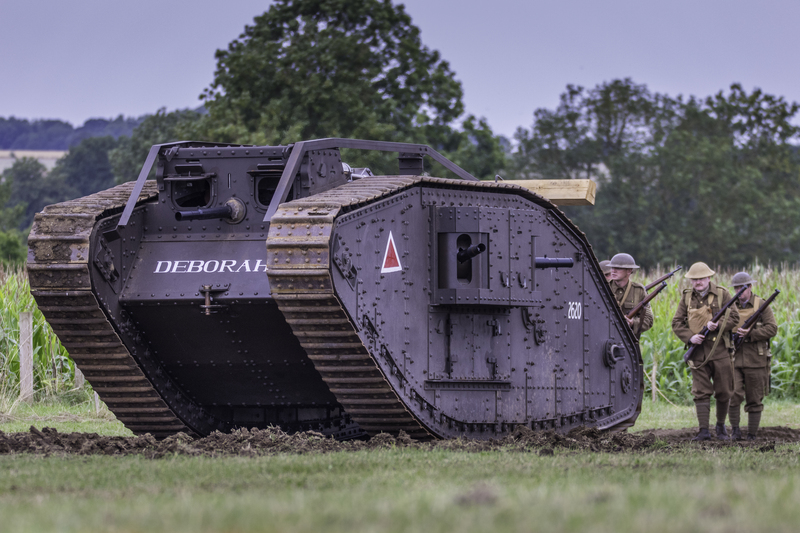 A manually operated arm, splendid thing but in the main, still in service because “Arms Drill” centred around “Slope Arms”, and the rifle favoured by us being the F.N.F.A.L. which had a projecting cocking handle would have dug into the shoulder when being carried at the “slope” and therefore could not have been seen as a replacement rifle for service by us. Discipline on “Gods Hallowed Acre”, the drill square ruled over by the Regimental Sergeant Major was total, and therefore, a thing that could not be carried at the slope would not be tolerated. However, world events that involved us were being fought against people with access to tremendous fire power and our bolt action rifles were at a disadvantage compared with such as the Kalashnikov. User trials by us favoured the F. N. self-loading rifle. In fact weapon trials showed that the bull-pup .280” rifle known as the EM2. was streets ahead but politics put an end to that one and we were left with the F.N. which although trialled in Aden and Malaya and showed many fundamental faults, was eventually adopted for service in 1957. Our version, made both at Enfield and B.S.A. in Birmingham had several improvements such as sand cuts in the carrier and body that resulted in better performance in sand and mud. It still fell far short of the standards deemed to be the basis for a service arm used by us. For those who might remember the L.I.A.I.,(SLR), the millions of “check zero” rounds that were fired while the foresights were screwed up and down and the back sights wound left and right and the whole dreadful process had to he repeated every day for ever! A much more minor fault of wandering zero resulted in the Rifle. No5, (jungle carbine) being binned within 3 years of service. Remember “failure to fire on gas setting 4” and all those other faults that plagued the SLR? It did however, fire a man stopping bullet. It was quite tough. It did generally keep going when the conditions were dreadful. Compared to the SA80, it was a dream! And, add to that a folding cocking handle developed by us for slope arms drill, there was in the end, no need to modify our drill to “Shoulder Arms”, which looked rather like some city fellow carrying his folded umbrella! Never mind that it might not be very good as a rifle, “damn it man, we’ll have to change our drill” After the mid 1980’s, the L.I.A.I. Rifle was replaced by the totally dreadful tin and broken weld SA80 which totally plumbed dreaded depths never seen by the British service before. Roll on de-mob!